If you liked this show, you should follow Stepping Into Mastery with Nora. Be guided through a journey of Dimensions of Light as I tune into and access new Knowledge for you Mind, Body and Soul to align to. You are all more than ready to be amplified into a Crystal Light Matrix of Reality Consciousness of your own Crystal Grid Systems. So come along and LISTEN as the Masters Speak a WORD that shall so empower a vibration of LOVE, LIGHT, and WISDOM. 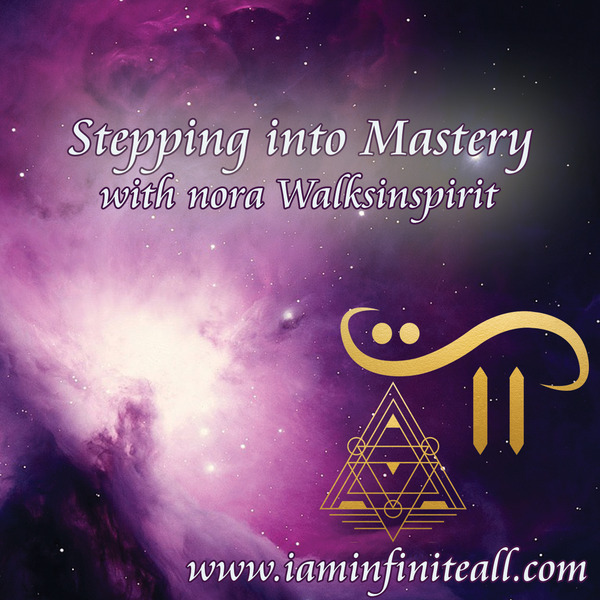 Be registering for this event you are giving nora Walksinpspirit permission to email regarding this event, and upcoming news, messages from Nora Walksinpsirit Inc.